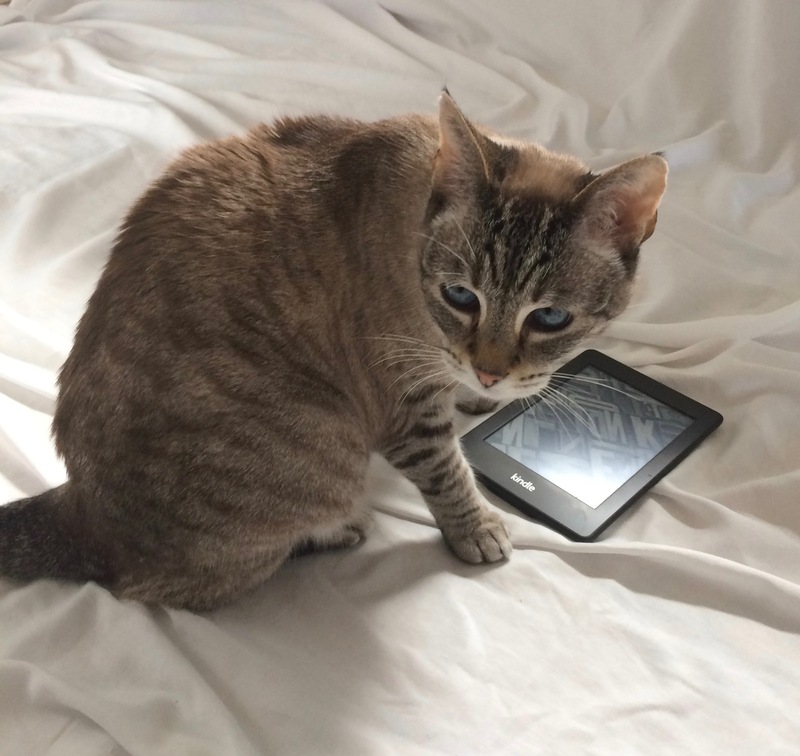 What have you done with my Kindle? Don’t play innocent with me. I saw you checking it out. You have done something with it. I thought it was our Kindle! No it’s not. It’s mine. And I need it to finish the book I’m reading. Why you are in such a hurry to finish your book? Because my book group is meeting tonight and this is the book we’ll be discussing. You discuss the books? I want to come to book group! I’m certain that is not a good idea. I would talk about the lack of diversity in fiction. Species diversity. When is the last time a cat had a starring role in a novel? Or a short story? Not to mention, when is the last time you even came across a cat reference? Off the top of my head, I can’t think of one. But I’m sure there are dogs and cats in many, many books. I don’t mean books in general. I’m talking about fiction. Okay, I’m sure there are dogs and cats in many works of fiction. Dogs sure, but cats? No. I challenge you to find them. I hadn’t really thought about it. But I’m sure there’s a cat or two. Not like there are in non-fiction. There are a lot of non-fiction cat books. I don’t know what you are complaining about. You are all over social media. True. We own social media. Now we want to take over your Kindle. And they love to sit on laptops…laptops…laps…hehehe! She does have a point! #1 wants to know what was the book? Whatever her book was, it didn’t have a cat in it.